8x10 black and white publicity photo from about 1990 autographed by actress Karen Bankhead (inscribed Blessings and Peace to you! 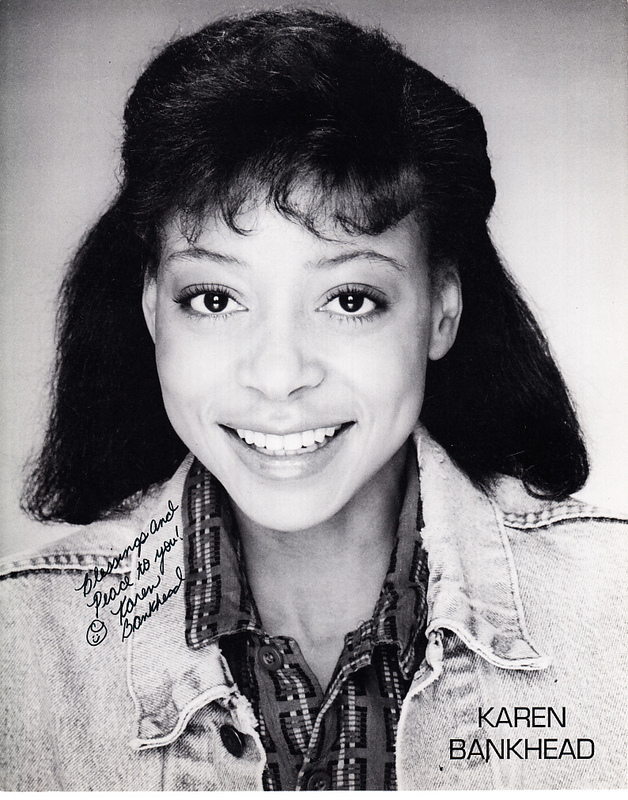 ), who played Adrienne in the 1990s TV series Boston Common, among other credits. With certificate of authenticity from AutographsForSale.com. ONLY ONE AVAILABLE FOR SALE.